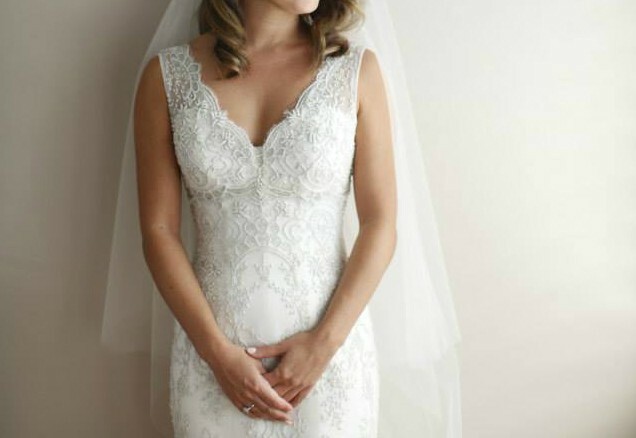 This wedding gown has been custom made by designer Luci Di Bella. It is made with Italian beaded lace with a silk under dress. It is a snug fitting dress with invisible zip and button closure at the back. The gown has a small train and low back. The gown has been professionally dry cleaned and comes in original dress bag. Veil included. Once you send a message, Bianca can invite you to purchase the dress.